I have finished the starlet suit! I am happy! Well, I'm almost always happy, but it's great to finish this project. Yesterday was my 51st birthday & we went to see Al Green @ Wolf Trap w/ friends. It was a great concert, but I have to admit that, as I only had 4 (of 5) buttons to sew on, and I hadn't had a chance all week as we were busy Wednesday (gym) and Thursday (friends visiting), I thought, "Do we have to go to the concert?" But we went, so I finally got a chance to finish this evening after another set of friends (visiting from NYC) went off to a wedding. Yay! Finished! Here are some thoughts about the course & the pattern & the process & the experience. 1. I thoroughly enjoyed Gretchen's class. She is an excellent teacher & a lot of fun, too (I think her giggle should be a ringtone). I appreciated her honesty and helpful hints. 2. I wish Gretchen would use the numbers when she refers to pattern pieces. There are a lot of pieces and sometimes I had trouble finding the ones she was talking about (sometimes she doesn't use the exact same name). Referring to a pattern piece name and number would make finding them a bit easier, especially if you don't have a huge sewing space & can't lay out all the patterns separately. 3. I usually watched a class (or part of a class), just to see if I needed to do any prep and also to get an idea of what was coming in the class. Then, after I did the set-up (put in darts, stay stitch curves, etc. ), I'd watch while trying to do the work with Gertie. Using the pause button a lot & back-tracking a lot. 3A. Which brings up another point: I have a Samsung Galaxy 10.1 tablet, and I often watched the classes on it. It works great, but there's no slider to move the class back a bit or forward a bit. So if I paused in the middle of a class, I'd have to watch the first part again to get back to the portion I wanted. I know that things don't always work great with tablets, but it would sure be a nice feature, especially as I have friends who only have tablets now (no laptop). 4. I learned soooo much! A lot of which I may never use again, but at least I know how to do it. And so many things I will use again, i.e., bound buttonholes & tailor's tacks* & favoring a seam* & putting in a lining. 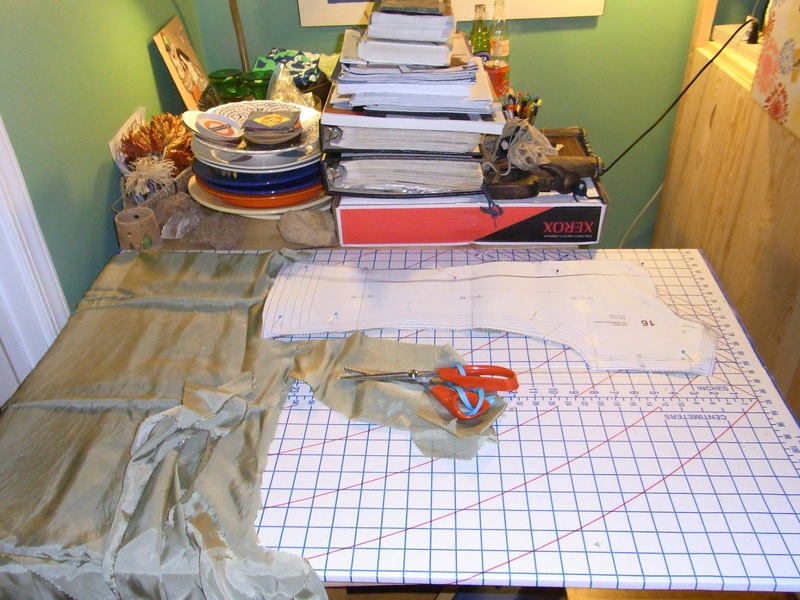 I want to make a few cotton jackets & the work I did on modifying this pattern piece to fit me will be so useful. I made an effort to be careful, but I can't say I'm going to win any awards at the county fairs anytime soon. My mom says that they used to judge the back/inside of all handmade projects & the back had to look as good as the front. No way not ever; I'm just not that neat or good at the handwork. Now to make a gored & lined skirt to match. Before winter! All in all, I recommend this class if you'd like to learn what tailoring is, and how it's done. *I keep thinking of things I learned. The asterisks are what I thought of after I first posted this! The Roommate & I have been struggling with the KTK for years. We buy pristine kitchen towels in a cute or cool design & then we're afraid to use them. Why? Because we know in a very short period of time (3-4 weeks) they will look so cruddy we're ashamed to let guests know we use them. I bought these towels about a year ago. I've been reluctant to use them because I know once we start, they will quickly be so dirty that we'll have them in the rag pile. Look closely at this photo; see how the white is dirty on all 3 towels? I finally got them out of the drawer & put them to use about 3 weeks ago...and already, yucko! I don't use bleach (ever), and hot water just doesn't do the trick of putting them back in almost-new condition. About a month ago we were at Crate & Barrel Outlet, which is about 1.5 miles from our place. I noticed that all the Marimekko fabric they have is on sale for $5.95/yard. It's fairly wide, too, (54"), so that's a great deal. And even better? There's very little white space on their fabric (in fact, most of the prints have none). The downside is there are no cute kitchen motifs either, but oh well. Life is awfully hard. So yesterday, the Roommate & I went in and bought 1.5 yards of a large blue print and tried it out. First, I washed & dried the fabric. Then he did some dishes, using the fabric both to dry the dishes and to dry his hands. (The Roommate does 95% of the dishes in our house.) He gave the medium weight cotton fabric his approval & declared it would be excellent for kitchen toweling. So, I got busy and ironed the fabric, then cut it up, double-folded the edges & ironed them and this morning we have 6 new towels! I am hoping they last a good long while. I really hate buying new towels because they look dirty and not because they are worn out. This afternoon, after a 20 mile bike ride into DC & back, we headed back to Crate & Barrel & bought 4 more yards of fabric. That should be about 16 more dish towels. 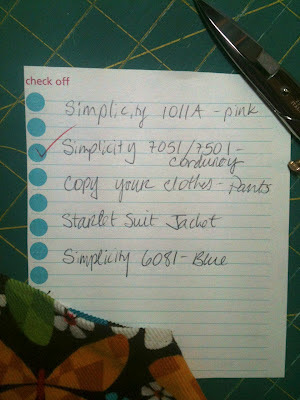 A nice, mindless project for me as I complete the Starlet Suit jacket! One of my fellow sewists in the Craftsy Starlet Suit class called shoulder pads "fabric tacos." I love that! Her comment was along the lines of "they must be easy to make, they're just fabric tacos." So I decided to make my own. I'm from New Mexico, so tacos come naturally...fabric tacos, hopefully do, too. I have taken out so many shoulder pads over the years, that I definitely know exactly what they look & feel like. And I wasn't going to put any in this jacket, but Gertie's comment about making the shoulder look more structured got my attention. What's the point of making a tailored jacket & then having saggy shoulders? At my age the less sagginess the better! First, I decided that about 6" would be the right diameter, so I went looking in my kitchen for something about that size. And viola! a Costco hummous lid, exactly 6" across. Then just zigzagged the edge (after some pinning to reduce slippy-ness). And this last one shows how I marked the center so I could match it up w/ the shoulder seam, and also how it looks tacked into one of the shoulders. We bought our house just over a year ago. In that time we've added on a bedroom with a bathroom + walk-in closet + screened-in porch, and now we've just redone our kitchen (it was finished when we got back from Spain). Oh, and that is the royal we--the Roommate & I do the selecting & designing, others with actual handyperson skills do the work! On a less messy note, we went to see the Maharaja exhibition at the VA Museum of Fine Art (in Richmond), which ends 8/19/12. (Hurry!) It was great; really fun. Of course I was interested in the clothing too, and managed to snap a photo before I remembered NO photography. It's a bridal gown, embroidered with gold thread & pearls & weighs about 25 lbs. Fortunately, back then, Indian wedding ceremonies had the bride sitting for most of the time! I learned about some interesting techniques, too, which I'd never heard of. First, the thousand-head manner of holding various layers of fabric together with tiny gold-colored tacks. The head of these tacks was about the size of a sewing pin. Thousands of them were needed to keep the fabric together. I couldn't handle the fabric, of course, and there wasn't any in the museum shop, so I'll have to do some additional research on this technique. Another interesting technique is after embroidering paisleys in a staggered pattern all over a fine cashmere gown, thin hot irons were pressed to it to slightly melt the wool of the cashmere & make a fine grid that surrounded each paisley. I'd never heard of that one, either. That was a Kashmiri technique. Oh, and the messiness? Not cleaned up or put away...traffic between our house & Richmond is notoriously awful and we spent a lot of our day driving. So I finally finished 7501/7051! (Clicking on that link will get you the saga of trying to modify the pattern, then having to take a private sewing lesson to get it fitted correctly.) And in order to finish it I had to redraft the neck facing & the collar (because the fitting involved taking a lot off the shoulder seams). But it's done! Totally ready to wear for this fall with tights & my brown leather boots! Cannot wait. More red checkmarks coming soon! Yep, that's a yurt! Our hotel room for 2 nites in Mongolia. In my last post I mentioned that I have a few things I want to work on, which is my motivation for finishing up/dealing with my Hall of Shame UFOs. It started when I decided I needed felted wool dryer balls which I discovered on DIYDelRay.com. Here's the how to if you think you need some, too. Of course I didn't want to buy any wool, so I put a request on Freecycle.org for used wool sweaters or yarn. A friendly neighbor gave me 4 sweaters & a wool blanket. Everything has holes & is rather the worse for wear, so no qualms about re-using the items (as opposed to wearing them). The dryer balls took very little of this freecycle wool stash, so now I have lots left. 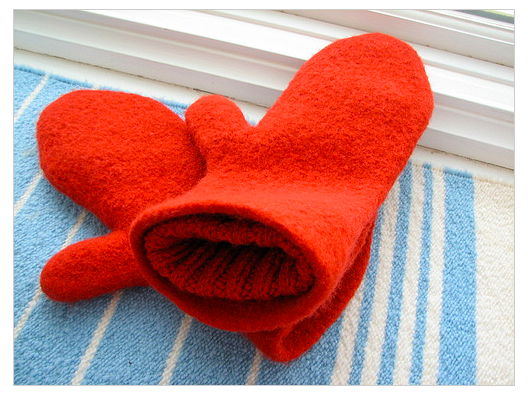 And I want to finally try felting. I have been interested in felting ever since we spent a couple of nights in a yurt in Mongolia. Those people know how to felt! The felt is 5-6" thick, too, on these easy-to-move water- & wind-resistant portable houses. 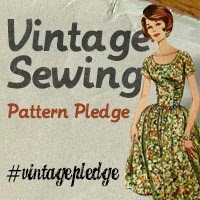 And I've thought about it & even bought patterns, but never actually tried it. And since my winter slippers are worn out and I haven't seen any new ones I want, I believe this may be the time. I found this amazing mitten pattern (from Heritage Fibre Publications) on Ravelry. Don't they look warm!? And these cute little elf shoes, recommended by a friend (a co-worker is having a baby boy next month). Oh, and these slippers, with amazing color work. Part of the UFO completion process will be to demolish a few patterns I should never have tried (I know what fits well & looks good--but did that stop me?!). You can try to guess which 2 of last week's posts will be unsewn...I'll let you know next post!